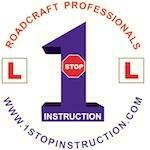 Excellent training first class Tuition, went from knowing Hardly how to ride a bike to passing mod 2 with no minors. Team are friendly and make you feel welcome if your after achieving your bike license then I would highly recommend these guys. Safety is there top priority.